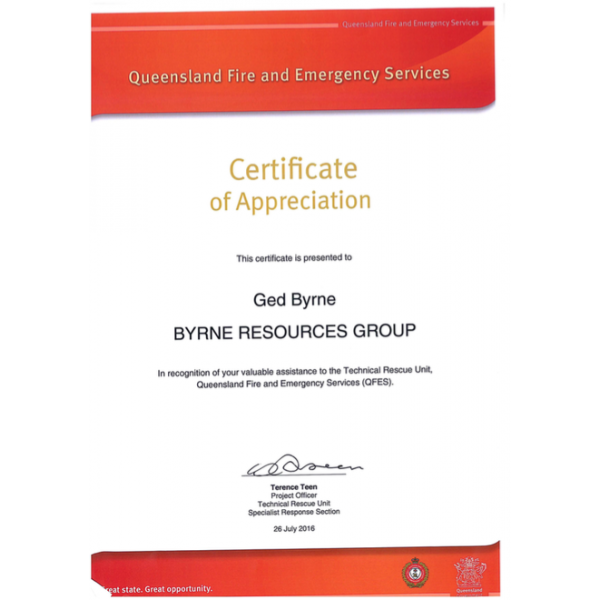 Queensland Fire & Emergency Services have shown gratitude to Byrne Resources Group for thier continued support of thier training practices. Over the years BRG has formed a strong relationship with QFES by allowing them to use our facilities for free, supplying earthmoving equipment and land to help replicate realistic training scenarios. We thank QFES for thier elite service to our community!